The Maintenance Section is responsible for maintaining the operational estate as well as carrying out minor refurbishments and alterations. Other responsibilities include fire safety, lift and grounds maintenance, together with the operation of a 24 hour emergency call out system to attend to plant failure and other emergencies affecting the operational performance of buildings. All enquiries and requests for service and support from the maintenance team should be directed through the Estate Facilities Helpdesk. Click here for background informaton about Planet. Please contact Heather Capitain if you have not already received training or information how to access the system. The principal duties of the Group are to carry out various building maintenance projects, e.g. the upkeep and repair of doors, windows, walls, floors and ceilings. 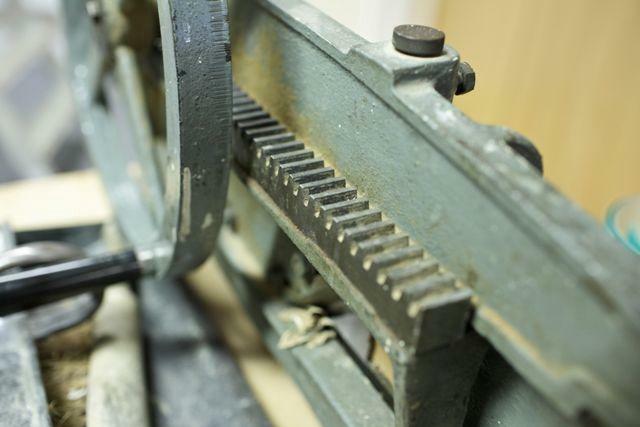 To achieve the high standards needed across the University, our workshop is equipped with state-of-the-art machinery and is used by highly skilled operatives. If you need assistance the Estate Facilities Helpdesk is the first point of contact for requesting any form of work, repairs or simply advice. All calls are logged onto our database and a unique Works Order number is issued to the requester. The works order is then passed to our in-house maintenance staff or an approved contractor for the work to be carried out. The Grounds Maintenance Service is responsible for grounds maintenance across the University Estate. Our main base is at Laundry Farm, Barton Road, Cambridge. Laundry Farm is the base for teams of gardeners who work from vehicles undertaking grounds maintenance across the Estate. The developing West Cambridge Site has its own team of gardeners who also look after the grounds of the Centre for Mathematical Sciences and several other properties in the immediate area. We also have staff based at the Observatory, Downing Site and Southacre who maintain the grounds of their own site and sometimes have to help in other areas. The Grounds Maintenance Services are concerned about the environment; we try to reduce to a minimum the chemicals we use to control weeds, pests and plant diseases. We send all our green waste for composting and try to undertake our replacement and new plantings during the autumn and winter period, so that they will establish without having to carry out excessive watering. The Lift Maintenance team maintains and refurbishes the University’s portfolio of 270 lifts, a number which is increasing year on year. This portfolio consists of a considerable variety of lift types, covering platforms, including wheelchair lifts, hydraulic and traction types, as well as the more modern motor-room-less lifts and a small number of cranes. The Lift Maintenance team maintain and increase access to the University’s facilities for its staff, students and members of the general public, from lecture rooms and laboratories through to museums and restaurants. We ensure that all lifts conform to rigorous safety standards, the Disability Discrimination Act and fire regulations connected with access and egress. The Lift Maintenance team also provide 24 hour cover for entrapments. Internal, external and emergency lighting. Heating, ventilation, cooling and/or air conditioning systems. The University‘s buildings and surrounding sites are divided into geographical areas, with a building surveyor dedicated to each area. The building surveying team ensure the building fabric is suitably maintained to meet the needs of its users. Each Area Surveyor will meet department representatives regularly offering building advice and fault diagnosis to the building fabric and general site’s infrastructure, including management of remedial work where needed. The Area Surveyors work closely with faculties and departments to identify their requirements and deliver solutions in respect of the alteration and use of University buildings, and are responsible for the delivery of smaller to medium sized works from small scale office refurbishment to larger scale structural modifications; in fact anything that requires a greater emphasis on pre-planning. The Area Surveyors will regularly undertake an assessment of building condition to inform the University’s internal and external painting programme, listing work fairly in relation to priority and necessity and ensuring the plan delivers the University value for money. Departments should identify their requirements for inclusion in the annual programme and notify their Surveyor in the Michaelmas term. It is recognised that certain departments are structured to carry out minor maintenance and install equipment and specialist fittings within their buildings . The buildings surveyors are available to undertake an assessment as to whether these works may have an affect on a building’s structural integrity. They can also provide technical advice including the preparation of feasibility studies and financial appraisals, the pursuance of building regulations approval, planning permission and listed buildings consent etc.